My name is Julia Höschle. I´m 20 years old. Last year I finished the high school in Germany. 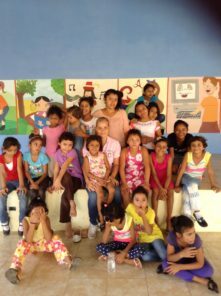 Since August I have worked in the girls home “Madre Albertina” in Granada/Nicaragua. 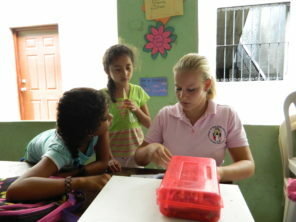 Here I’m helping the ‘educatoras’. I do homework with the kids. Daily I prepare snacks in the morning and in the afternoon. There is a lot of time to do sports, handicrafts and play with the girls of the home. I’m very sad because I have to leave Nicaragua in two weeks. Later in future I want to come back to visit the girls and my host family in Granada.